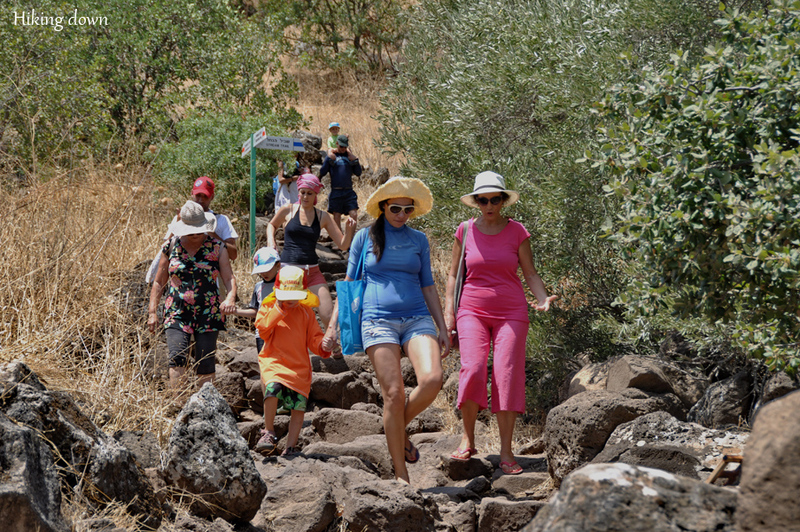 Nahal (Wadi) Meshushim (Hexagons Gorge) is a beautiful natural phenomenon in the Golan Heights that doesn’t require advanced hiking skills to enjoy. 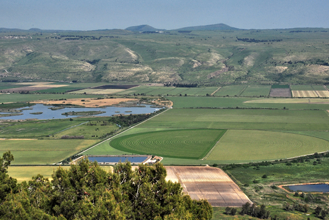 The Golan Heights is a picturesque elevated volcanic terrain, rising between 1,200 and 3,700 feet above sea level. Lava and ash that erupted during the last three million years (the latest one, being only 4,000 years ago) covered the Golan with 1,200-2,500-foot layers of volcanic material, mostly basalt. 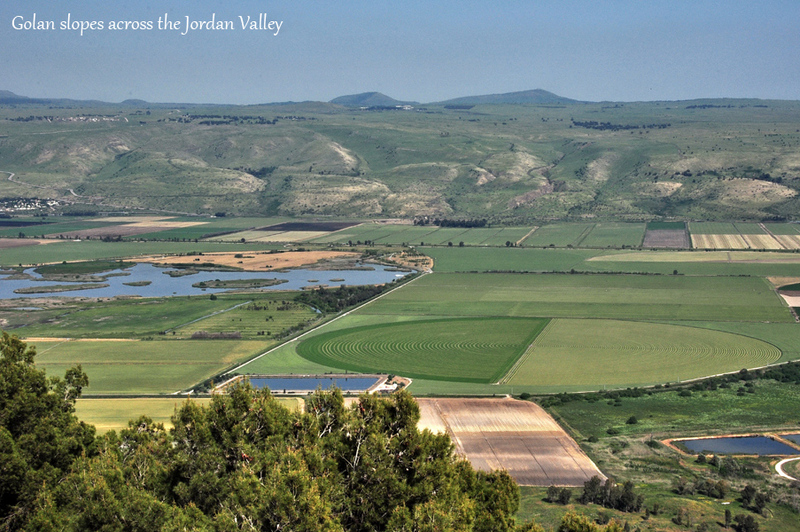 This elevation of the terrain created a sharp difference in altitude between the Golan and the Jordan Valley (including the Sea of Galilee). 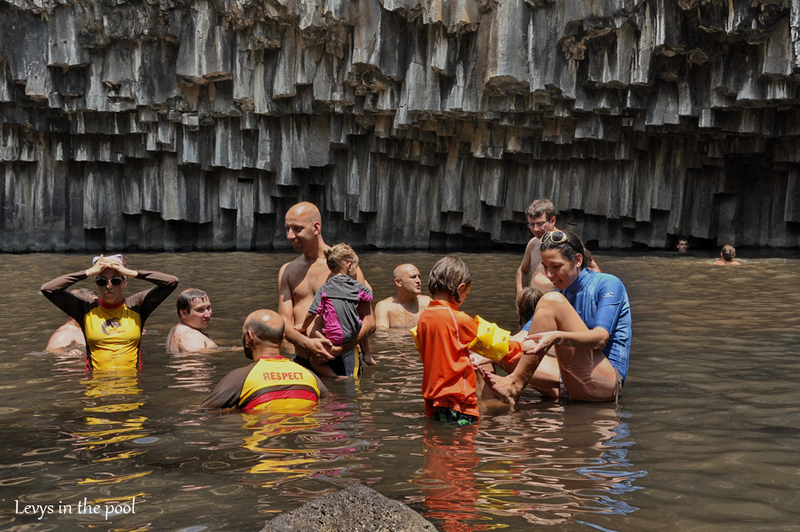 As a result, deep canyons in the basalt rock of the Golan were formed by water running down through the canyons. 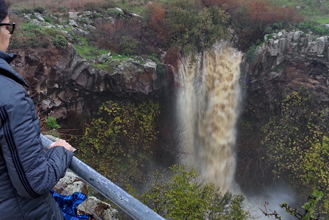 There are many canyons on the western slopes of the Golan Heights. Some of them have a constant flow of water all year round. 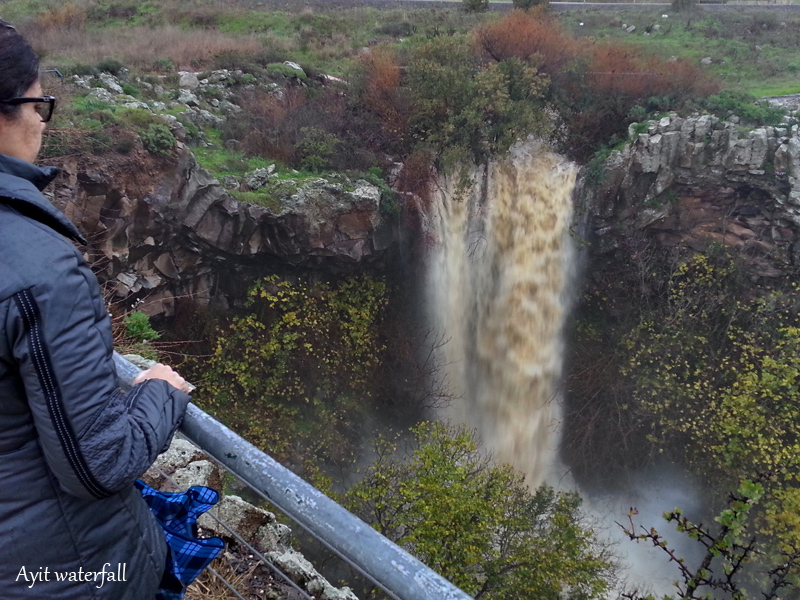 Yahudia is one of them, and Zavitan is another, both containing gorgeous waterfalls. Meshushim is another one – there are no waterfalls here, but there are unique rock formations in the shapes of long hexagons (in Hebrew: meshushim). These hexagons give the pool above which they are hanging, an amazing, out-of-this-world look! When lava spews into the cool air, it cools down immediately and solidifies into rocks full of holes because the gas bubbles don’t have time to escape from the hot lava. However, when the lava streams on the ground, it cools down and solidifies very slowly, letting out all of the gas bubbles, and leaving a smooth surface on the new rock. While it is cooling down slowly, the rock crystallizes into long forms that separate from each other in the shape of hexagonal or pentagonal prisms. It is very simple. Driving north on Highway 888, and passing by Had Ness village, we soon notice the sign of the National Parks Authority. We leave the highway and drive a few minutes on a dirt road to the entrance of the park. A half-hour hike down the trail brings us to the water and the hexagons pool. 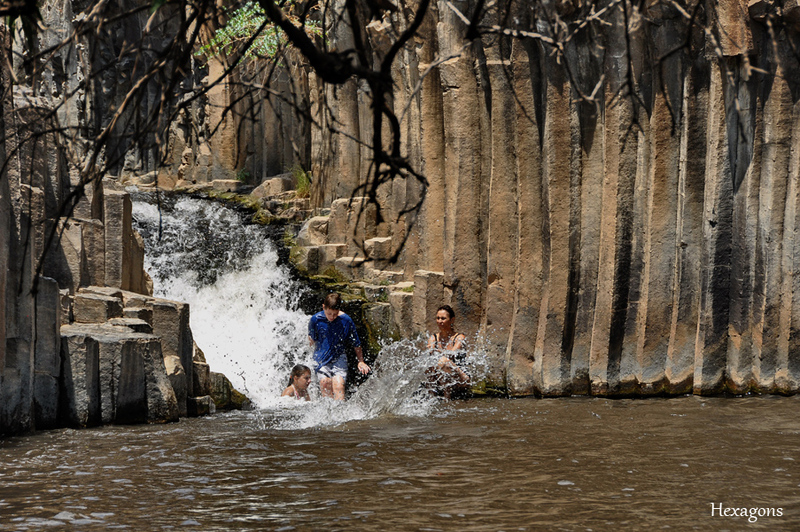 The best time to visit Meshushim is on hot days, since the water is very cool (no higher than 18 C/64 F). Wading and swimming in the deep water is a must!